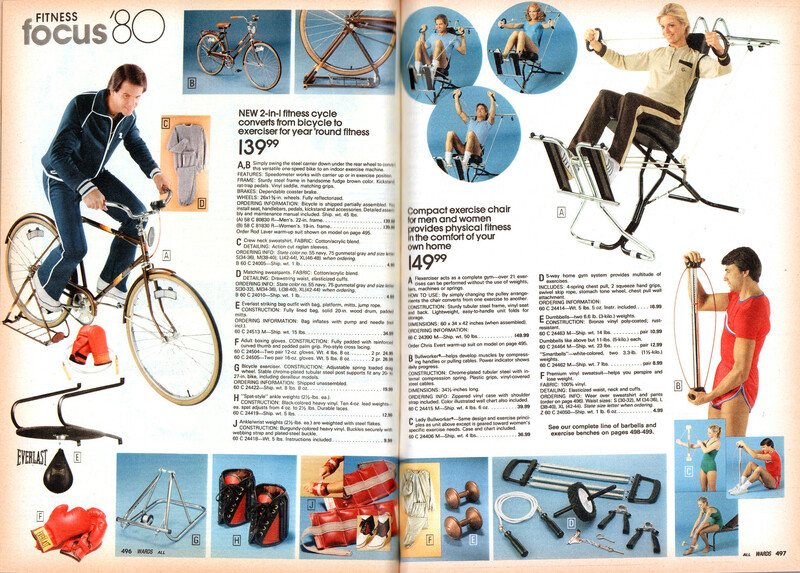 Here's a few pages from the Montgomery Ward Spring/Summer catalog fitness section. Enjoy. Man, I remember when Pony and Puma were the shoes. 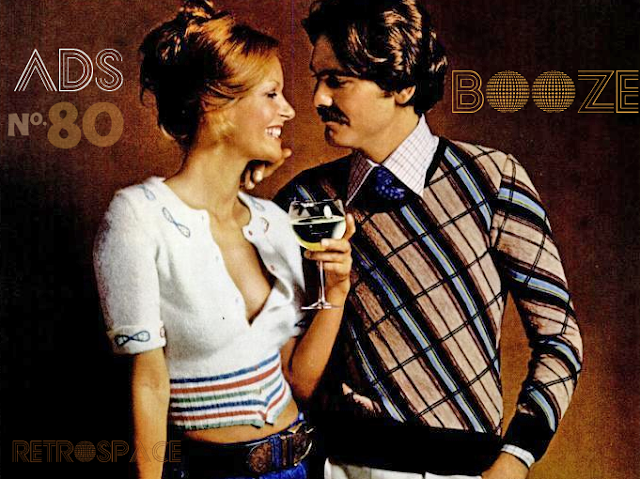 Are these brands still around? I just Googled it, and answered my own question. Evidently they are both still around; however, I don't think they're as popular as they were (correct me if I'm wrong). Sweet Lord, this is beautiful. 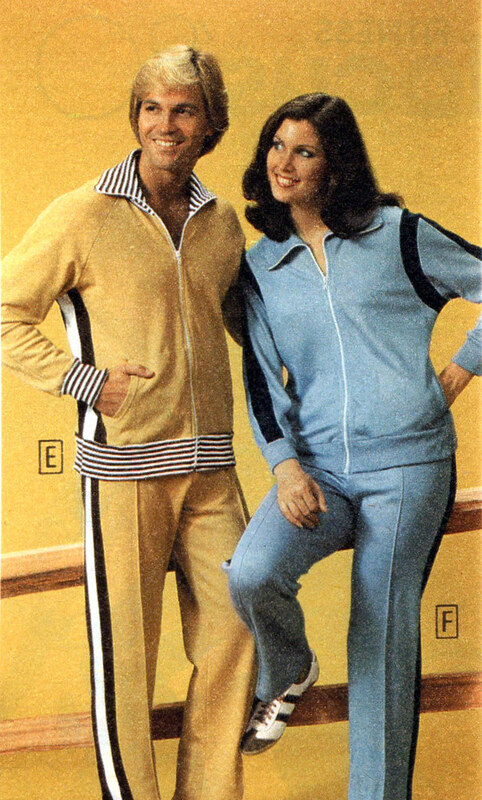 Nothing says 1980 like feathered hair and a polyester tracksuit. 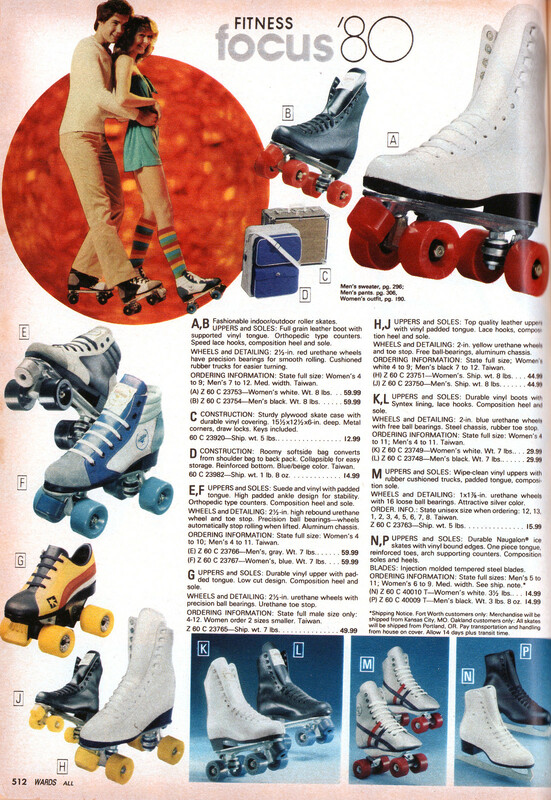 Rollermania was in full swing in 1980. I know I was at the local roller rink on the regular from 1982-1983. I dig those rainbow socks. No sarcasm intended. I wonder what song they're skating to.... I'm thinking maybe "You Decorated My Life" or "Ladies Night". Oh, it's a cordless massager. Uh, huh. Yeeeahh, okay. That "cordless massager" would come in handy right about now. Can you imagine actually doing this? 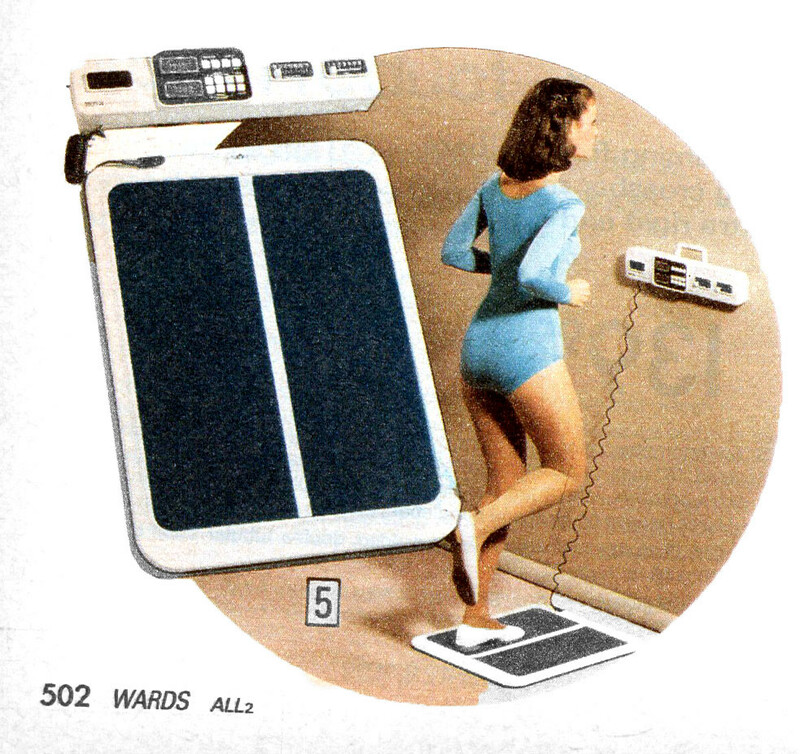 Just facing a few inches from the wall, and "jogging" on a little pad? 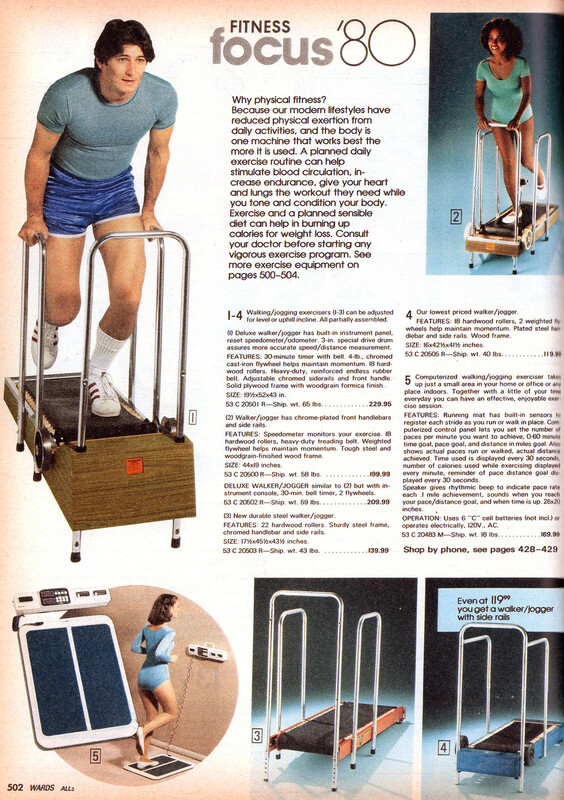 This treadmill just doesn't appear very sturdy to me... and having to hunch and hold those bars - the whole contraption looks awful. 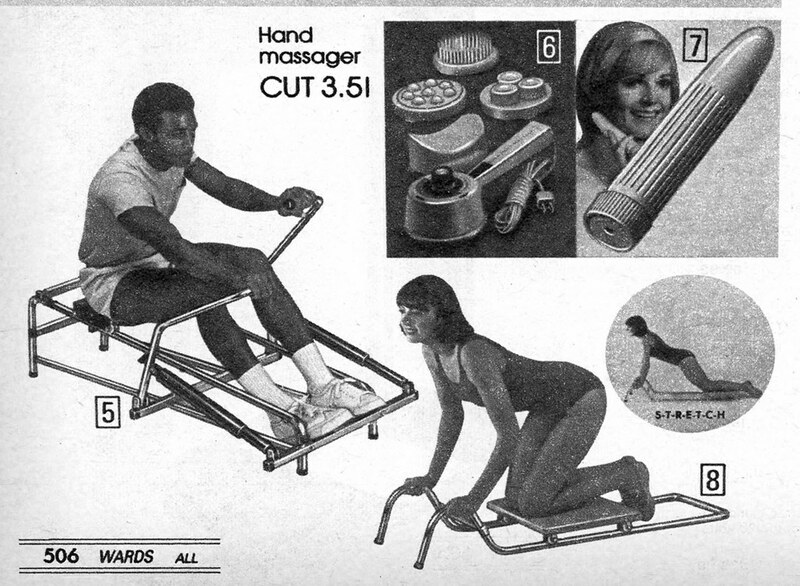 I can't see a belt massager and not think of A Confederacy of Dunces - an amazing book that is desperately in need of a terrible movie adaptation. Way back when, they'd planned on using Belushi, but, well, he died. I'd heard Will Farrell for a while - thank God that didn't happen. One day the shoe will drop, and it'll be Melissa McCarthy or something and I'll lose all hope for humanity. 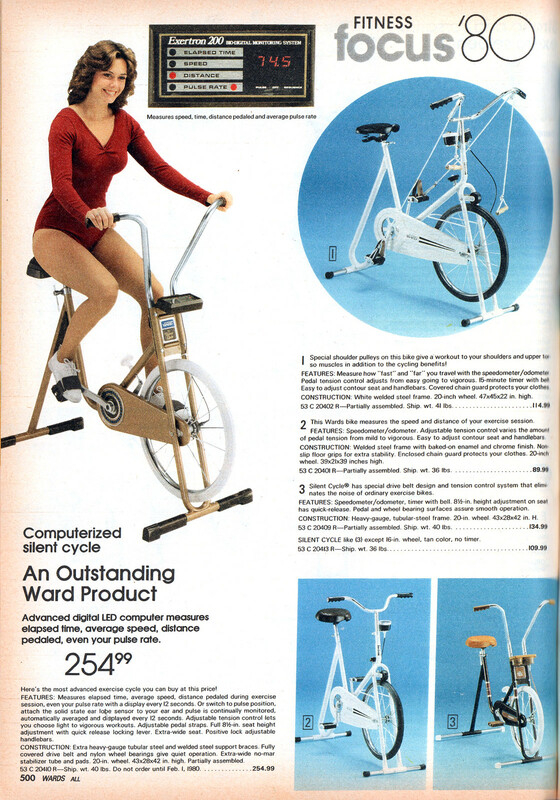 That "outstanding Ward product" would be $740 in today's dollars. 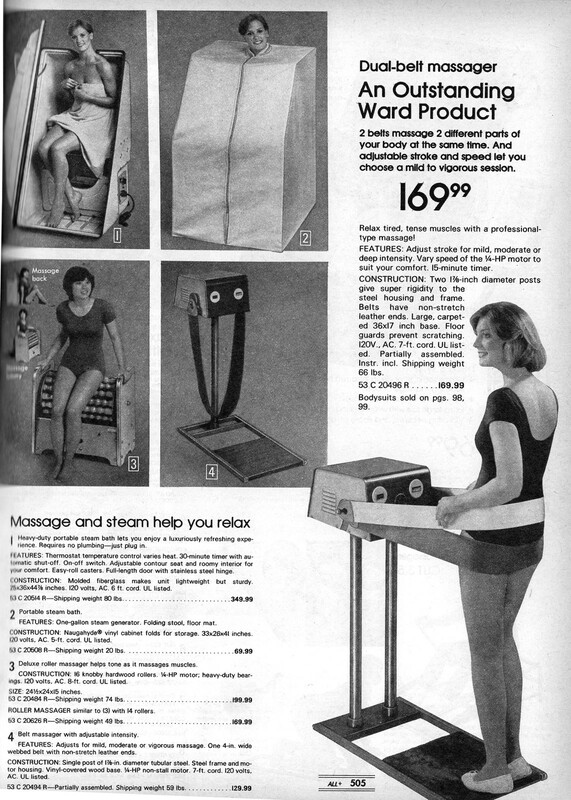 The belt massager seems like something from the 50s, not the cusp of the 80s. Yeah, there are usually a couple Pumas in most shoe stores. I've had a pair of proper '70s-looking blue nylon/suede with white swoosh for a couple years. Always loved Pumas. 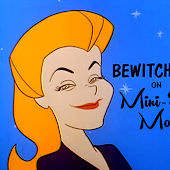 And I will always pronounce it Pyoo-muh, not Poo-mah. 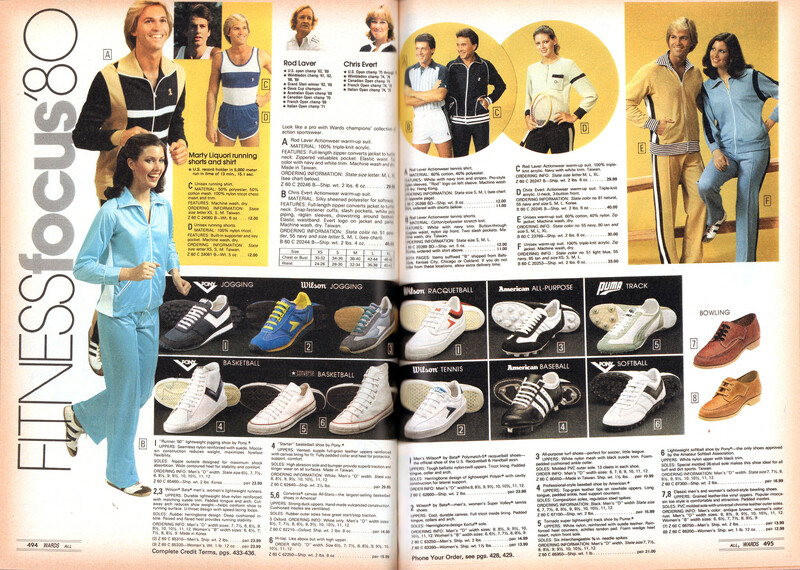 I had a pair or two growing up, then went through a couple pair of Etonics around '76-'78 I think. Like these with the yellow. http://oldposter.sneakerlab.net/wp-content/uploads/2014/12/etonic-km-running-shoes-1980-20141225-04.png After that I got into Vans and still wear those. 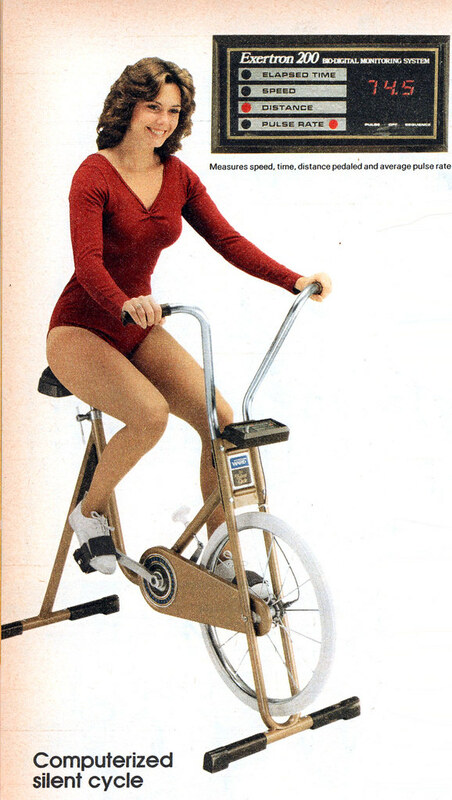 I'm with ya on the flimsy appearance of some of those pieces of equipment. 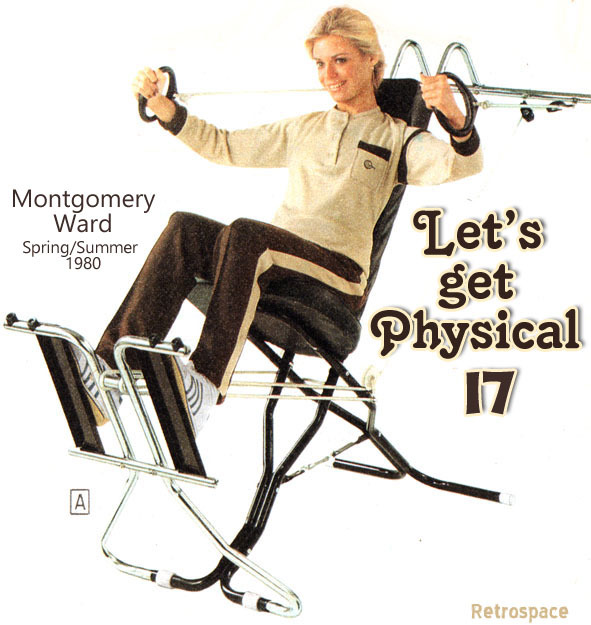 I always imagined those treadmills and other things made out of bent tube would fall to pieces after a couple months. We had one of those "Deluxe Whirlpools" for the bathtub. The problems is that they dropped the temp of the bath quickly. A warm bath would become tepid in a matter of minutes. From the golden era when men wore shorts actually worthy of the being called "shorts", rather than the baggy contraptions they now wear, which look like they come from the Bozo the Clown collection. Got that right. I just laugh when I see guys of any age wearing those ridiculous silky-looking floppy things that hang past their knees. There was one particular tall dork who wore those *to work* with a dress shirt. I wanted to punch him. We were poor. We couldn't afford one of those whirlpool jet bubble things for the tub! 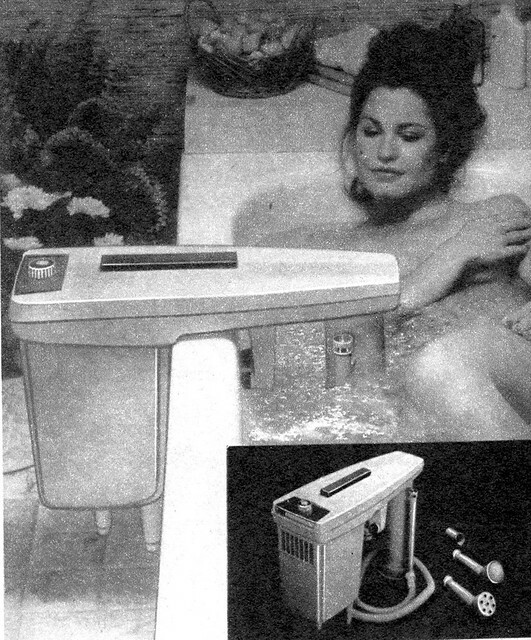 We used to have to fart in the tub in order to get whirlpool jet bubbles! I know where the door is. I'll let myself out. 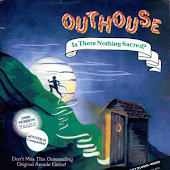 Billy Ray Valentine: I ain't Jacuzzin' nobody! Coleman: It's a whirlpool bath, sir. BRV (after turning on Jacuzzi): Hey, bubbles! Say man, when I was growing up, if we wanted a jacuzzi, we had to fart in the tub. 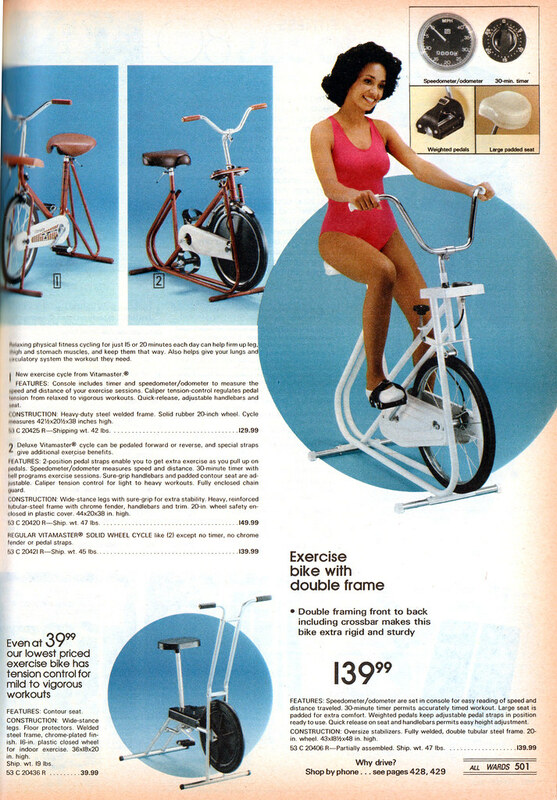 My wife has the exact same bike that is pictured in the last ad under the letter B. 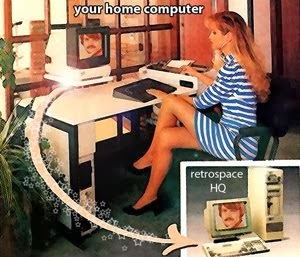 We bought it at a yard sale a couple of years ago for $5 and it still works just fine. 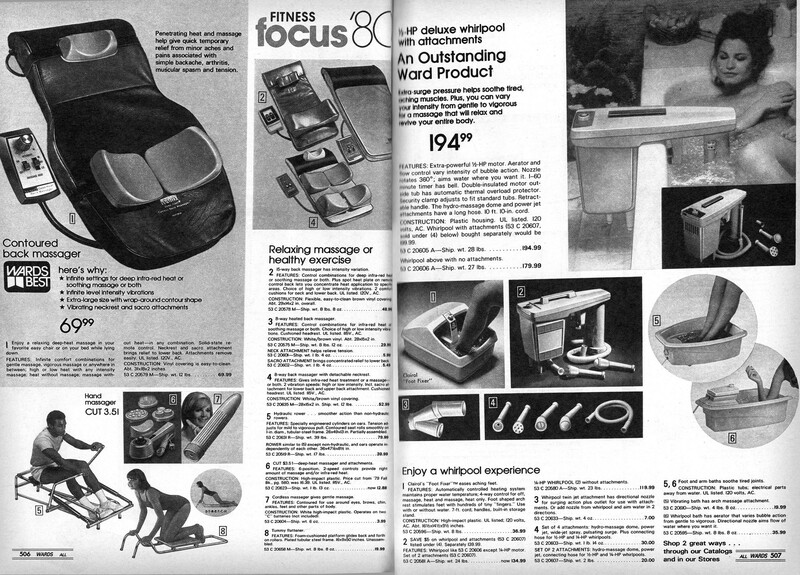 LOVE this great exhibit of protoform home exercise gear. 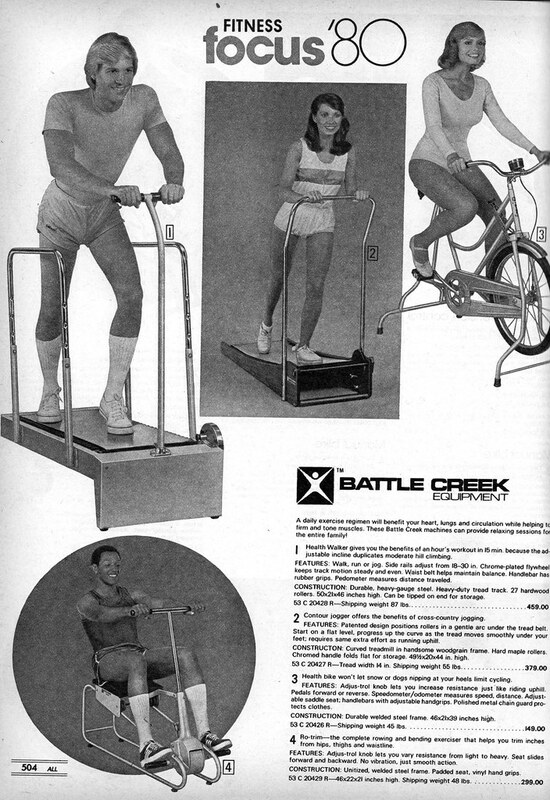 The kids would just stare with slack jaw when they compare the high-tech treadmills and home exercise machines of today to these truly simple machines from yesteryear. Family friends had that poor man's Jacuzzi thing hanging off their bathtub in their master suite. 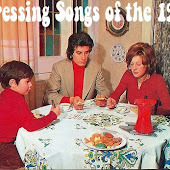 I remember the lady of the house being somewhat fond of it.